The Best Juicer For Greens That You Should Know. A good juicer is easier and simple to operate. You should be able to assemble and disassemble the juicer. This will make the cleaning process easier. If it has too many parts, it may be difficult to operate or put it together. Although, the fewer the parts, the fewer the functions. Some juicers can be used for butter churning, pasta making, and others. The features of a juicer should make it more convenient. The feeding tube should be large so that you can be able to put more greens or fruits. This will make your work easier. You don’t need to chop the green to small pieces. The disposal spout should also be large to prevent clogging and produce more juice. 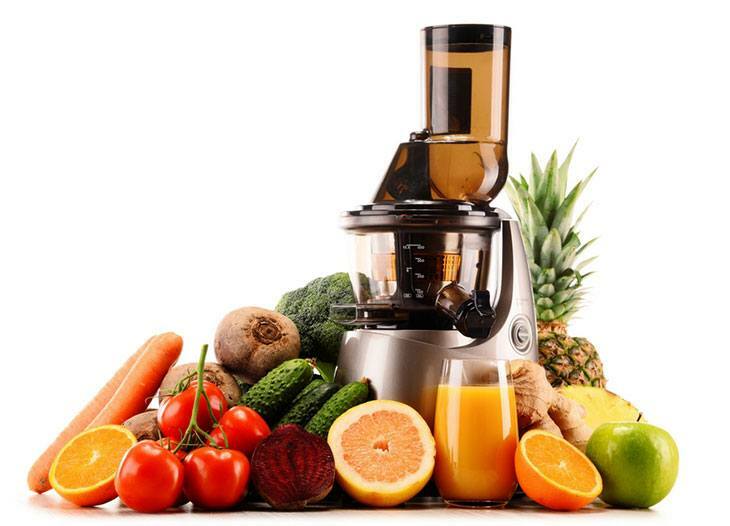 When buying a juicer, ensure that you consider the cost of the juicing process. Most of the cheaper models are not efficient as compared to the more expensive juicers. The more expensive models will last longer and are of high quality. The cheap ones may be expensive to maintain. A juicer that will wake up everyone early in the morning is not ideal. Other models may even wake up the neighbors. Ensure that you buy a juicer that will be quiet when juicing. This will give and your family peace. The centrifugal high-speed models tend to be noisier as compared to other models like the masticating slow-moving and the triturating models. Before you purchase the juicer, the amount of space hat is available in your kitchen. don’t buy something that will take too much space. Also, a juicer that is too small may be inconvenient during the juicing process. ensure that the model you choose can produce the amount of juice you need and can be stored comfortably. The warranty will cover the factory defects that may not be evident immediately. A good juicer must have a warranty within a period of time. You can go for the models that offer a lifetime warranty. If you think that you will not stick with juicing greens, you can choose the ones that have a limited warranty. It is only powerful juicers that can extract juice from the leafy greens that have more fibers. It should have a minimum of 400W for easier juice extraction from the tough greens. The juicers that have more parts may be hard to clean. A simple model will be easier to clean. choose a model that has the features that you need and it should not be hard to clean. The ones that have about 7 parts are easier and simple to clean. The following are some of the best juicers that you can consider for your greens. Ensure that you choose a model that can satisfy your juicing needs. This is a masticating juicer. It is also known as the low-speed juicer. It juices at 80rpm. This juicer will give juice that is full enzymes and fresh because of the low speed. The juice can be kept for 3 days without any degradation. It has 2-stage processing system. This ensures that maximum juice is extracted from the greens, fruits, and vegetables. The nuts can be turned to butternut easily. You can use natural and fresh ingredients to make baby food. This juicer can be used to perform so many tasks. If you use frozen fruits or vegetables, the food will stick to the sides of the jar or produce a stiff mixture. You can place the juicer on top of a towel to reduce the amount of noise that it will produce. It measures 7 by 15.5 by 8.5 inches. It is easier and simple to use. This is because the motor is powerful. The low speed ensures that there is no clogging, foaming, or build-up heat with the 110V. The yield of juice is high. The juicer has an auto pulp-ejection function. The juicer has a 2-stage system that is quiet during the juicing process. The juicer has an installed screen. It has a voltage of 110V. The juicer can be used to perform other tasks like butter making, making baby food, whipping soy milk, making pasta, coffee grinding, and mincing garlic and other herbs. It has a GE Ultem auger that is stronger than other plastics. The low speed ensures that the juice maintains a pure color, nutrients, taste, and the vitamins. It is economical and efficient in the juicing process. you can easily get more juice from your greens and fruits. You can easily store your juice for 3 days. The pulp may come out wet. This leads to low-yield of the juice. It has so many parts. This makes it complex to use for the beginners. The juicing process is a bit slow. You may not like it if you are hurrying. This is masticating cold press juicer. It produces juice that is more nutritious, tastier, long lasting, and fresh. It has an AC motor of 240W with a low speed of 60 rpm. There is minimal oxidation during the juicing process. This ensures that the nutrients and taste are preserved. It has a wide mouth that measures 3 inches. This can easily allow large quantities in. It is resistant to clogging. You don’t have to chop the ingredients into small pieces. This can reduce the oxidation process. when juicing, ensure that the valve is closed. The strainer base and the valve hold the juice and prevent oxidation from taking place. There is a high yield of juice. The juicer is made of high-quality materials. It is beautifully designed. The handle is sturdy and easier to move. This makes it easier to clean. The juicer is made of high-quality material that prevents oxidation. The mouth is wide to allow large quantities in. This makes it more convenient. It has a 10-year warranty for the main body and the motor. It is a low-speed juicer. This ensures that there is minimal oxidation, the nutrients, taste, and freshness of the juice are preserved. The motor is AC 240W of high quality. The juicing process is sealed to reduce and prevent oxidation. It is resistant to clogging. This makes the juicing process easier and efficient.It can be used to make tofu and sorbet. The design is beautiful. It is sleek with a piano varnish. It comes with a gift wrap. You can purchase this as a gift to a friend or family members. Very hard ingredients can break the juicer easily. If you want to juice ginger, ensure that it is thinly cut to reduce the tough fibers. It may be difficult to juice the soft ingredients like bananas. They are good for making smoothies. This juicer has a 1000W motor. The speed can be controlled within 6500-13,000rpm. The feed chute is 3 inches wide. It allows large ingredients to be juiced without chopping them. The juice jug measures 1L with a froth separator. It has a mesh filter basket with 115 conical knives, 40,000 pores, and 2 sharp blades. This helps to spin out the pulp. It is durable and long lasting. This is because it is made of die-cast materials. The handle is integrated. The pulp container has a large capacity. The cord can be wrapped around the feet and clipped under the base for storage. The juicer is durable and long lasting. This is because it made of die-cast materials. The materials are free of BPA. The patented direct central feed system ensures that more juice is extracted. It is easier and simple to clean. It comes with a cleaning brush. The pulp container has a large capacity. This means that you will not waste time emptying the container during the juicing process. Overheating is prevented by the overload protection. The machine will shut down automatically when it is overloaded. The juicer cannot operate without locking the cover properly. This is because of the safety locking arm. The Nutri disc has cutting blades reinforced with titanium. The blades will stay sharper for a long period of time. The motor will die after some time. It does not extract all the juice from the ingredients. It is relatively expensive as compared to other juicers. 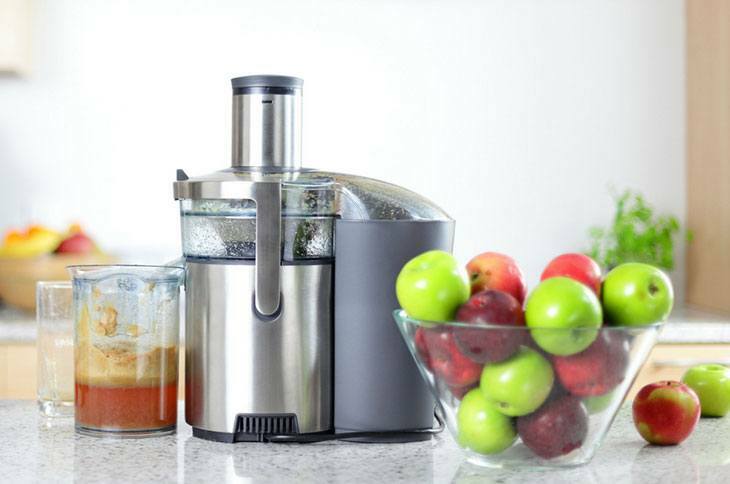 This slow juicer is ideal for those who are conscious about their health. This will offer a variety in the juicing routine. Low-speed masticating technology is employed. This ensures that there is no heat build-up and reduced oxidation. This juicer comes with a juicer jug a brush for cleaning. The juice extracted is rich in vitamins and enzymes. It stays quiet during the juicing process. there is no clogging, less foaming, and no build-up heat. It can be cleaned easily. this is because it can be disassembled and assembled easily. You will get more juice and drier pulp. It has an auto pulp ejection that ensures the juicing process continues. This is a low-speed juicer. There is less foaming, no heat build-up, and no clogging. The R switch ensures that there is no clogging. You can easily juice more fibrous greens and fruits. It is not resistant to stains and scratches. It cannot be cleaned in the dishwasher. Most of its parts are made of plastic. It is important to take the freshly extracted juice of greens and fruits. With the best juicer, you can have the best experience. It is a 700W multi-speed juicer. It can be used to extract juice from greens, vegetables, and fruits. The feeding tube and the juicing jug are very large. It is relatively cheap as compared to other models. The micro-blade is made of stainless steel which makes it more efficient. The micro-blade is efficient. You can easily extract more juice that is healthier. The feeding tube and the juicing jug are very large. You don’t have to cut the ingredients. The dual 700W speed motor ensures that the leafy greens and more fibrous vegetables and fruits are juiced easily. The juicer cannot operate without locking the cover. This is because of the safety locking arm. It is easier and simple to clean. Some of its parts can be cleaned in the dishwasher safely on the top shelf. The pulp container is large. You don’t need to empty the container every minute. It comes with a manual to guide you on how it is used. It is ideal for carrots, celery, and apples. It cannot extract juice from fibrous greens properly. Pulp may get trapped in the plastic that is near the motor or the pulp may get out wet. It is not quiet during the juicing process. According to my preference, I will take the Omega nutrition J8006 center juicer. It juices at 80rpm. This juicer will give you juice that is full enzymes and fresh because of the low speed. It has 2-stage processing system. This ensures that maximum juice is extracted from the greens, fruits, and vegetables. The nuts can be turned to butternut easily. You can use natural and fresh ingredients to make baby food. This juicer can be used to perform so many tasks. The noise can be reduced by placing it on top of a towel. Ensure that you choose a juicer that will satisfy your juicing needs. You can also get the best blender under $100 to make smoothies and other foods.